I first met Kip Tiernan in 1970. Her reputation for no-nonsense, wise-cracking productivity had preceded her. We were all a little bit intimidated. She was older than we were and had already had a successful career as a pianist and an advertising executive. Still, she always treated us with the utmost respect…as if we, too, knew what we were doing. We were organizing the first political sanctuary to ever have been held in a catholic church. The sanctuary was for our friend Paul Couming who was a conscientious objector and draft resister at the Paulist Center church in Boston. Kippy was handling the press, the FBI was outside the building and we were singing Amazing Grace. It was the beginning of my life-long admiration for Kip Tiernan, who died on Saturday. 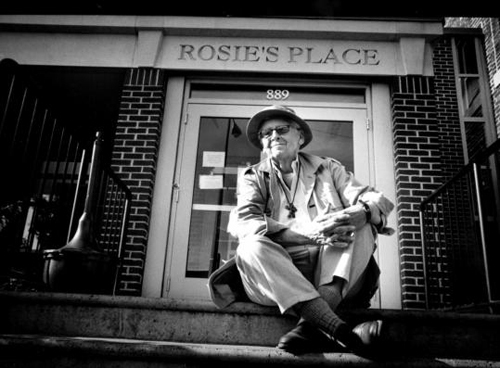 Kip went on to found the first homeless shelter for women and worked tirelessly with and on behalf of the poor of our city.